It should have been the perfect week. 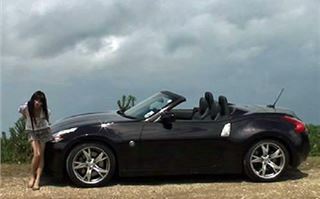 Memories of the Cotswolds in a Sunset Orange 350Z Roadster in June 2006. The latest technology. Improvements all round. 31 extra PS. And sunshine again, most of the time. 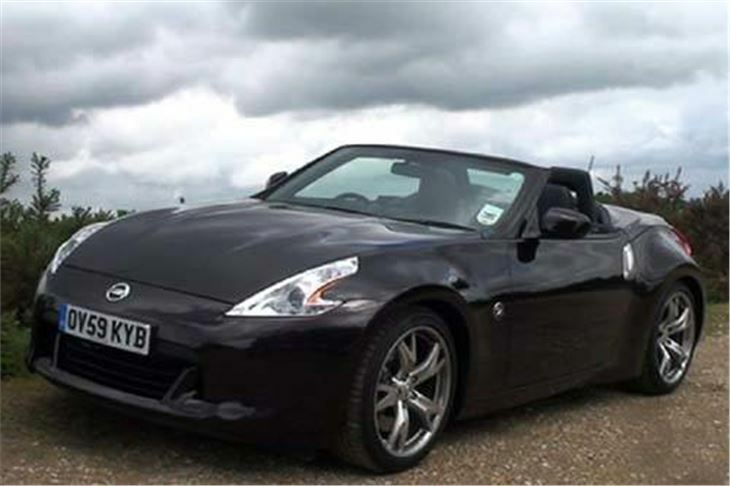 Yet Nissan’s latest 370Z roadster somehow just didn’t do it for me. 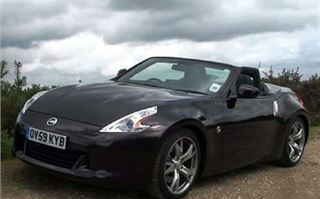 True, the top down and the 7-speed autobox made London traffic jams seem like sunbathing on a beach. 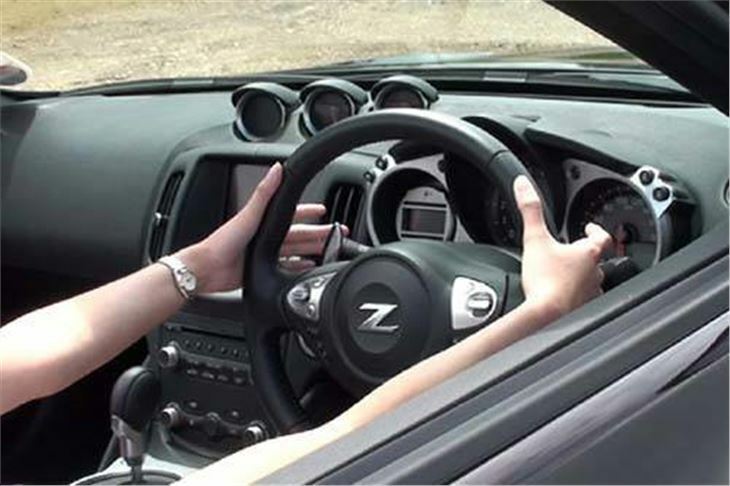 The box slips in and out of neutral without having to press the footbrake. The handbrake lever is just where I want it. Even the indicator stalk works with a pleasing, oily precision. The seats are good. 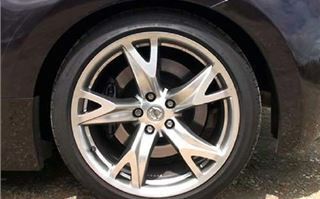 You may have read elsewhere of the ride quality on optional 19” wheels as fitted the test car, the rears of that are painted with a narrow strip of rubber 275/35 x 19. There is very little quality to the ride. It isn’t as jarring as an Audi TT Sport on 19” wheels. Nor as bad as an SLK 280 with 19” rears. And on the billboard smooth surfaces it’s designed for, you don’t even notice the problem. But show it a pot-holed, speed cushion festooned English suburban street and I can guarantee you’re going to spill your take-away coffee, even if it’s tucked into one of the bottle-shaped door bins. It made my FIAT 500 (which is pretty bad) feel like a balloon tyred limo in comparison. Then there’s the small problem of seeing out, particularly if you are sized more like Hammond than Clarkson. 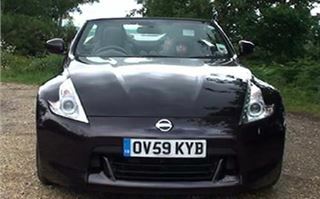 You sit low and the large door mirror completely obscures cars coming at you from your right. So you learn to move your head about a lot. Reversing is best accomplished with the roof down because otherwise it’s like trying to manoeuvre a front door looking back through the letterbox. The roof takes about 30 seconds to rise or stow, and leaves you to put the side windows up afterwards. At least the cabin is quite roomy, with plenty of elbowroom. But, as in an MX5, rearward seat travel is restricted by the bulkhead. Even I was up against it with the backrest slightly reclined. Tall people with long legs are forced to sit upright in order to get the seat back far enough for their legs. 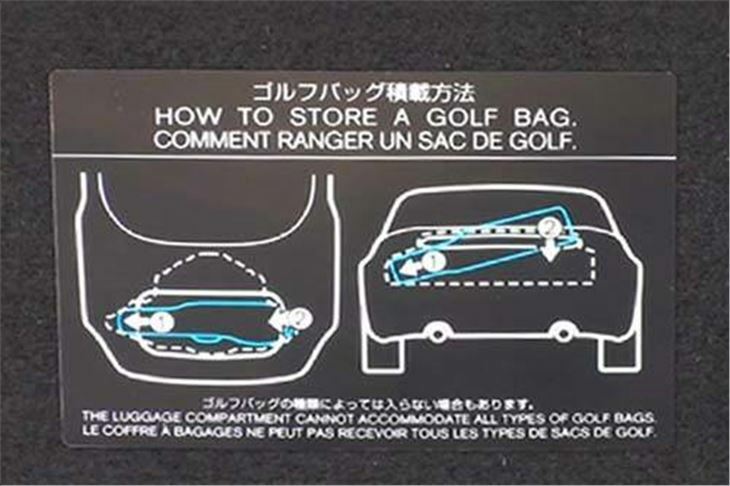 The boot is small and shallow, and, like the old 350Z roadster has a sticker instructing you how to insert your golf clubs into it. That’s just your clubs. Forget anyone else’s. Of course, using the paddleshifts, acceleration is fairly awesome and it takes practise not to hit the limiter. Traction is controlled, though, so you don’t make a smoking start and even when the torque is really hitting the tarmac it doesn’t step out of line much on a wet and dry surface. 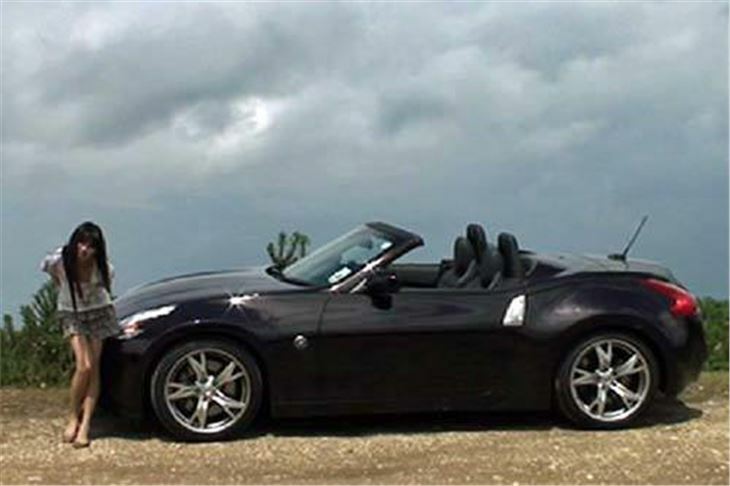 When it does it does, it’s as easy to deal with as the old 350Z was. You’re not going to do that much, though, are you? Like me, you’ll probably just leave it in Drive and pootle through suburbia with half an eye on the instant consumption meter. Start it up from cold for short runs to the shops and you’ll go through fuel as fast as a dragster does. But stick to the limits and you’ll do all right. Feathering my way down the A3 into Roehampton I kept it over 40mpg, which is fairly remarkable for such a meaty machine. I guess on a 300 mile motorway run I could average 35 before destroying that figure on the first stretch of clear open A or B road. In the end, I found this a Jekyll and Hyde car, with a Dr Jekyll transmission and the heart and soul of Mr Hyde. I think I’d have been less confused about it making the effort to shift gears myself. Because that’s what a car like this should be all about. They’ve namby pambied it for non-drivers and for the Americans. It’s a hairy-chested sportscar that’ had its chest shaved. 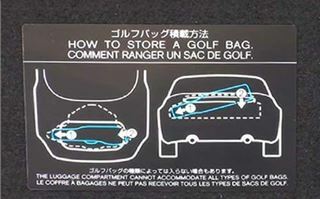 So my advice is stick to the manual. 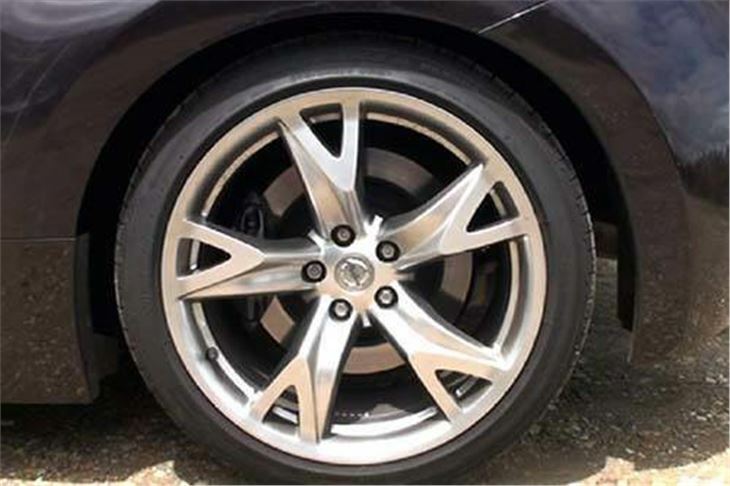 And order it on standard 18” wheels.